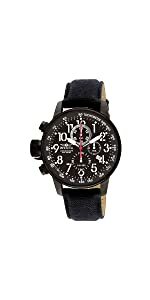 This watch features a black genuine leather strap with a buckle clasp. 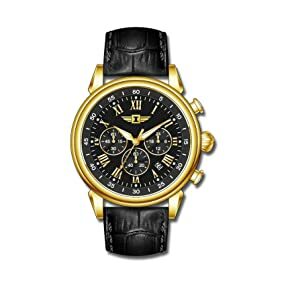 The gold tone stainless steel case features an attractive black dial with luminous hands and hour markers and 60 minute, 60 second and 24 hour functions. 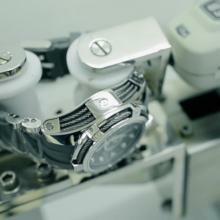 This watch also features a mineral crystal and push-pull crown. 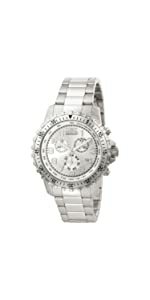 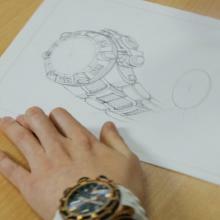 Emphasize your style with this I by Invicta! 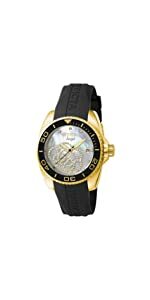 Classic chronograph styling with refined, contemporary features, the I by Invicta Men's Chronograph Black Dial Black Leather Watch boasts a textured leather band that closes with a traditional buckle and an oversized 18k gold-plated stainless steel case. 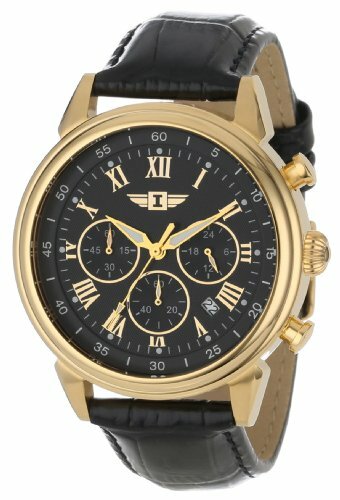 This case provides the setting for the watch's attractive black dial, which sports gold-toned Roman numeral hour markers and luminous gold-toned hands. 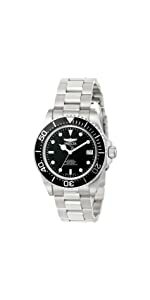 The dial also features three subdials at the three, six, and nine o'clock positions and a date window near the four o'clock position. 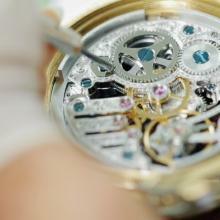 Additionally, the entire dial is protected by a genuine mineral crystal. 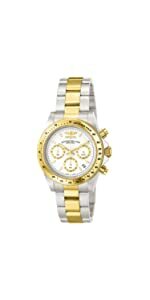 Other features include two large buttons that flank the watch's textured crown, water-resistance to 165 feet (50 meters), and Japanese quartz movement.